Get your feet wet! Join DREAM for fun on the water. Our Paddle Days take place on Flathead and Whitefish Lakes. We have tandem kayaks and paddleboards to support all ability levels. Our staff and volunteers will ensure a safe and fun experience while supporting you as you push your limits. 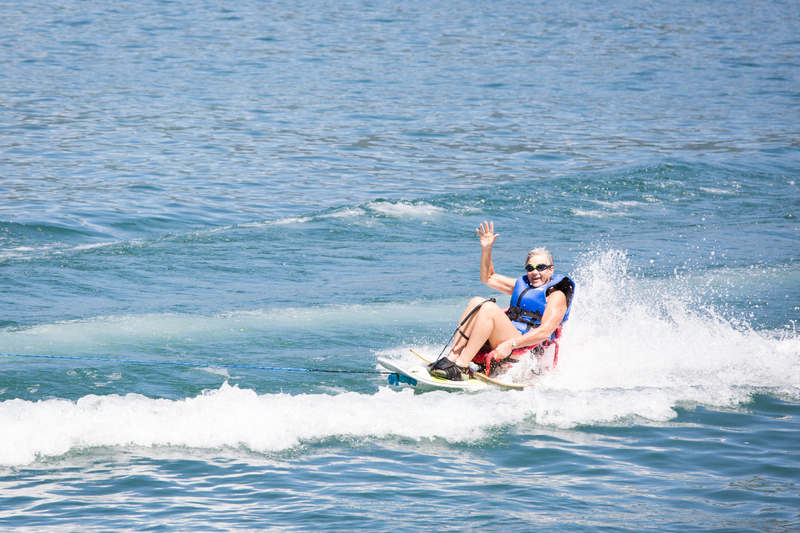 There are many recreational opportunities to choose from during our Water Sports Program on Echo Lake and Sophie Lake. In addition to paddle boarding and kayaking, join us for swimming, pontoon boat rides, water skiing, sit water skiing, wakeboarding, and tubing. New for 2019 is also a mountain bike program for adults (18+) with physical disabilities! We are excited to get you on the local trails! Click on the program name below to learn more!